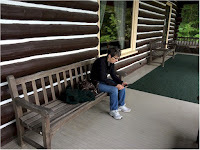 Last weekend I visited Gene Stratton-Porter's Cabin at Wildflower Woods in Rome City, Indiana. Prior to moving to Rome City, she lived in the Limberlost Swamp for eighteen years before it was drained. But because of some confusion over where Geneva, Indiana is, I wasn't able to coordinate hitting that site, too. 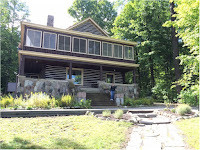 While at the Cabin at Wildflower Woods, though, I learned that Stratton-Porter was a multi-talented and remarkably successful woman. She was a published nature photographer and taught herself to develop her own pictures. 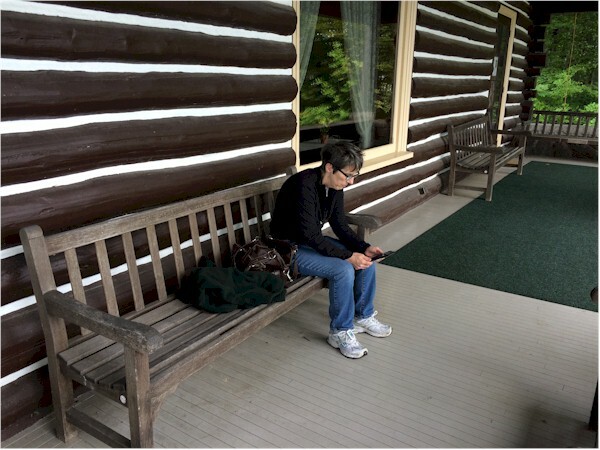 She was a nature writer on top of her fiction writing. 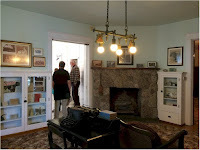 Her writing was so popular and sold so well that, while her well-to-do husband paid for their home in the Limberlost, Stratton-Porter paid for the one at Wildflower Woods. Oh, and she designed it herself with an open floor plan that would go over very well on HGTV. She had problems with fans showing up at her home. Her books were being made into movies, but, according to our museum guide, she was dissatisfied with what Hollywood was doing with them. She became ill during the flu pandemic after WWI. While she survived it, it impaired her health. So because California is legendary for two things--the movies and the weather--she headed out there to start her own film company and maintain her health. If she hadn't been killed when a streetcar hit her car, she might have established herself in still another field. Why Was Her Writing So Loved, Making Her So Successful? Notice I said "loved." It wasn't necessarily well-regarded. Our guide at Wildflower Woods pointed out that critics didn't embrace Stratton-Porter's work. They found it "too sugary" and "overly sentimental and romantic." Now I've only read one of her books. But by the writing standards of our day, A Girl of the Limberlost has a number of problems. The main character is "sugary" and perfect. She is successful at all she does. She doesn't do a lot in terms of resolving her own issues, either. As I said before, "saviors" keep stepping forward to do that. Other characters are far more interesting than she is. Today we would consider the book to have structural problems. A thread is introduced early on regarding a human threat to Elnora that is just dropped. So is a male character. And what's with the Billy the Orphan Boy thread? What does he have to do with Elnora? The book becomes a romance, but that element isn't introduced until well after the mid-point. Important characters are introduced very late. At the end of the book, there is a scene involving children playing Indian. Yes, nowadays most people would find it cringe-worthy. But, additionally, it has no purpose. It doesn't support any element of the book. Back then it was probably considered a cute, sentimental episode, but it's hard to see how it was necessary. So why did readers love it so? 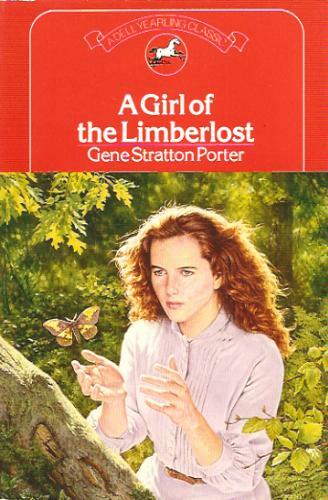 I think what A Girl of the Limberlost is really about is the romanticizing of rural people. Elnora is introduced to us as a poor, ill-dressed girl attending the town school as a miserable outsider. With the help of the neighbor folks who provide her with the right clothes, she is well on her way to being loved by all. She beats everyone academically. She takes up the violin, and within in three years is so good that she's performing in public. She is too good to try to steal the well-to-do city boy who shows up in the swamp away from his socialite girlfriend. But her incredible superiority attracts him, anyway. He advises her to "give up the college idea. Your mind does not need that sort of development. Stick close to your work in the woods. You are becoming so infinitely greater on it, than the best college girl I ever knew." He also tells her that "The world never so wanted your message as it does now. It is hungry for the things you know." Another character announces that the town where he is living with his family is "secure while the children are so small, but when they grow larger, we are going farther north, into real forest, where they can learn self-reliance and develop backbone." Even the society girlfriend who has lost her fiance to Elnora says to her new man, "If you could have your choice you wouldn't have a society wife, either. In your heart you'd like the smaller home of comfort, the furtherance of your ambitions, the palatable meals regularly served, and little children around you...I'll be the other kind of a girl, as fast as I can learn. I can't correct all my faults in one day, but I'll change as rapidly as I can." The "other kind of a girl" she's talking about, of course, is the kind Elnora is. Elnora's knowledge of rural ways, of the natural world, makes her superior. This was a message that, I'm speculating, readers of Stratton-Porter's time wanted to hear. And Why Did They Want To Hear It? Remember, this book was published in 1909. At the end of the nineteenth and beginning of the twentieth centuries, America was undergoing a demographic shift. It was going from being an agrarian, rural country to an industrialized, urban one. 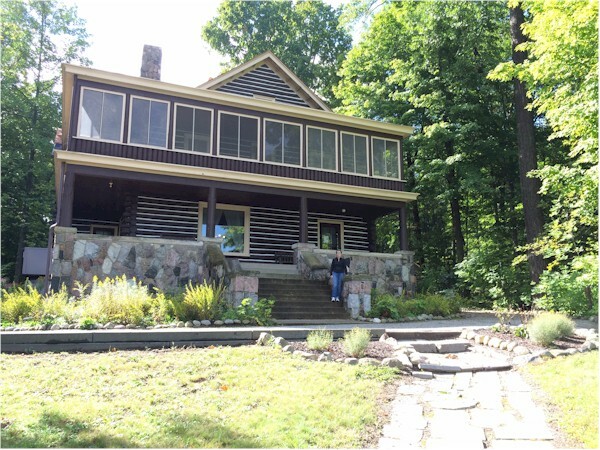 In A Girl of the Limberlost, Stratton-Porter was romanticizing the recent past and creating a sentimental portrayal of the life people were leaving behind. 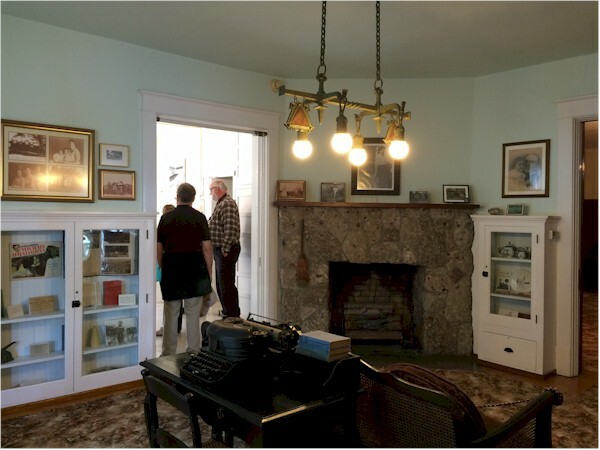 In the September/October issue of Poets & Writers, Jeremiah Chamberlin argues in Know Thyself: The Linguistics of Place that many of his students "just don't interact with or have a connection to the rural any longer." This is due to the population shift Stratton-Porter's readers were living through. Chamberlin's students, he believes, see rural characters in fiction as unbelievable if they are eloquent about their emotional life or have any knowledge or understanding of themselves. I'm thinking that a hundred years ago, Gene Stratton-Porter's readers definitely had a connection with the rural. Not only did they find rural characters who were eloquent about their their emotional lives believable, they wanted to read about them.